Binary Options Trading in Qatar - Trusted and Best Brokers - All Legal! Qatar is a predominantly Muslim country and by per capita income, also one of the richest countries on the world. It is an oil rich nation and this has seen a growth of the middle class in that country. Naturally, many Qatari citizens want to put some of that money at their disposal into investment vehicles and so binary trading in Qatar is on the increase. However, many investors are still on the sidelines as they are not sure if this is an investment vehicle that is in conformity with Shari’ah laws on investment. Shari’ah law does not allow Muslims to participate in interest-yielding investments and as binary options is a relatively new investment vehicle, not much has been discussed on this matter by those in the know. There is also an extreme paucity of local binary brokerage firms in Qatar. One reasons is that most local investment companies, not wanting to tread the fine line of offering products that may be Shari’ah compliant or not, usually prefer to register as companies offering equities trading on the Qatari Stock Exchange. This has however not deterred Qataris from putting their money with offshore brokers. A second reason is that Law No. (13) of 2000 (the Foreign Investment Law), places a limitation on the kind of business a foreign entity can invest in. Foreign investment into the financial services sector is severely limited and is only possible by approval by the Qatari Council of Ministers on a case-by-case basis. Such businesses must also have majority Qatari shareholding. Many binary options brokers would prefer to setup shop in other countries with easier business regulation than open shop in Qatar. Most people who perform binary trading in Qatar do not seem to mind and continue to do business with offshore brokers, who have capitalized on a lack of legislation on this activity to offer their products to locals looking for other exotic instruments aside the local stock exchange. Unlike in France, Belgium, Italy and the US where there is legislation which prohibits locals from trading with offshore brokers, such laws do not exist in Qatar. Offshore brokerages therefore have a leeway to setup shop in countries that provide a more conducive environment for their business and try to reach Qatari traders. In Qatar, binary options are unregulated. Opening an account directly from the online form located on the webpage of an offshore broker. It is preferable to work with a regulated broker. This brings us to the question of regulation. Despite a reported increase in the number of Qataris participating in trading of OTC instruments, there is also a lot of local skepticism about this. The main reason for this is because there is no regulation of binary options in Qatar, and as such there is no legal protection for traders who decide to use offshore brokers. 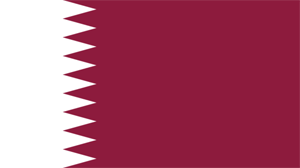 Regulation of financial trading in Qatar is done by the Qatari Central Bank. It is noteworthy that the QCB makes no mention of binary options on its website. So the added responsibility of ensuring that any monies deposited with a binary broker is safe lies 100% on the investor’s shoulders. That is why many investors in Qatar are afraid of taking any chances with offshore brokers. However, there are those who have taken the bull by the horn and are trading with offshore companies in Israel, Cyprus, UAE and other areas where binary brokers exist. Binary options traders in Qatar who want to make deposits to offshore brokers can do so. However, they are limited to making deposits within the foreign exchange transfer limits that are set by the monetary authorities for foreign currency transfers. a) Bank wires: It is possible to deposit money with a Qataris can make deposits to their brokers with bank wire transfers. This method is universal and works on all broker platforms. b) Credit/debit cards: Cards issued by MasterCard and VISA can be used. It is also possible to use a local ATM debit card, linked to a bank account for card payments on a broker’s platform. Not all offshore brokers accept Qatari card options. c) Qatari-Specific Digital Wallets: Q-Pay is a digital wallet payment system available for Qataris to make online payments. Presently, it is not possible to transfer directly from Q-Pay to binary platforms. This must be done using a linking system with a local bank which has an ATM (debit) card. MasterCard and VISA cards can also be used on the Q-Pay portal. d) Global E-wallets: Digital wallets such as Skrill, Neteller and Webmoney are open to use on binary options platforms. Is it legal to trade binaries in Qatar? Yes. It is not illegal, and the Qatari Central Bank has not published any restrictions or guidelines concerning binary options. Local financial services companies in Qatar prefer to offer equities trading on the Qatari Stock Exchange. Qataris who are interested in binary trading in Qatar trade with offshore brokers. Are binaries regulated in Qatar? No. They are not regulated in Qatar. How to trade binaries in Qatar? Due to the legal restrictions on foreign ownership of investment, banking and insurance companies in Qatar, there are virtually no foreign brokers with offices in Qatar. To carry out binary options trading in Qatar, Qatari traders must trade with offshore brokers.